“One Day in History” won L’Iris d’Or Award at the Sony world photography awards 2013.
division of the ruling Norwegian Labour Party. The perpetrator was a Norwegian right-wing extremist. Around 600 people survived the attacks on Utøya, more than half of them under the age of 18. Now they have returned to their normal lives, spread all over the country, but for many life will never be quite the same. The young survivors will live on with their scars — both visible and mental — many of which may never fully heal. A whole generation, on the threshold of adulthood, have been marked for life by acts rooted in an ideology that many consider the greatest threat to modern democracy. Around 1950, families in small and remote fishing villages in Lofoten, Northern Norway, were offered a lump sum from the Government to leave their homes and relocate to more central places. They also committed never to return and resettle. This was part of the governmental plan to centralize and modernize the nation after the Second World War. Communities that had survived for centuries in a hostile environment on the border between steep mountains and rough sea, totally isolated during the winter months, collectively decided to leave. The opening was attended by the Hon. Consul–General of the Norwegian Consulate in Cyprus, Mr Panayiotis Antoniades. 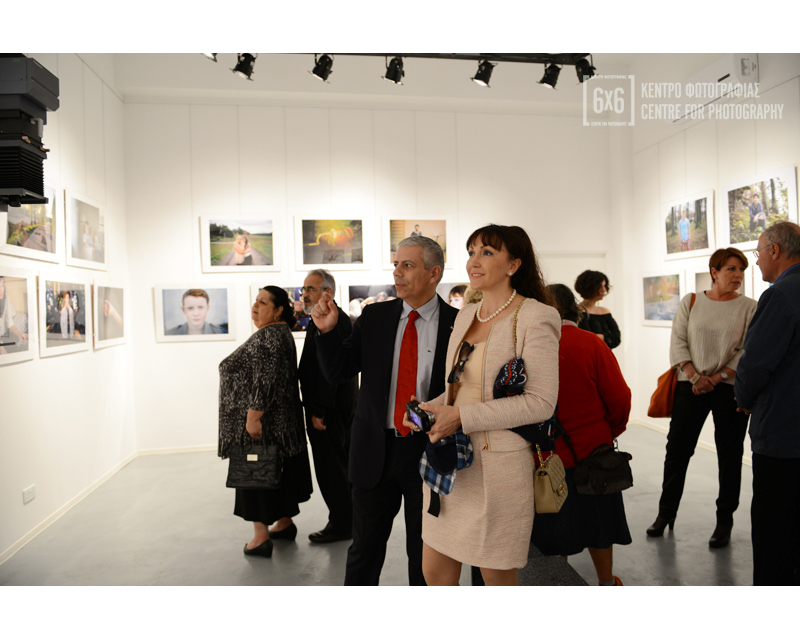 The two Exhibitions were presented at the Main Programme of Exhibitions of the Athens Photo Festival 2013, which took place at “Technopolis” of the City of Athens and at the Municipal Gallery of the City of Athens. Athens Photo Festival (former International Month of Photography in Athens), took place during October - November 2013. It is the annual festival of photography in Greece and a premier cultural event in Athens, established in 1987 by the Hellenic Centre for Photography. It is the first and longest-running international festival of photography and related media in Greece, and one of the five oldest of its kind in the world.